The Blanding’s Turtle is a threatened species but is likely to become endangered if steps are not taken to address factors threatening it. The most significant threats to the Blanding’s Turtle are the loss or fragmenting of habitat, motor vehicles, and raccoons and foxes that prey on eggs. 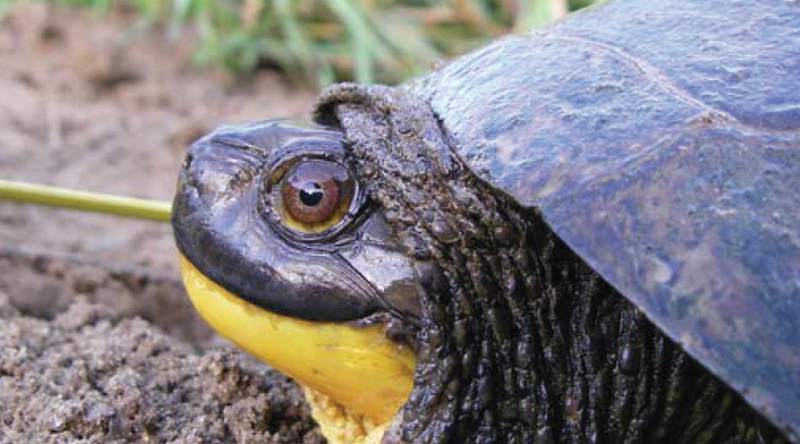 The Blanding’s Turtle and their eggs are protected by Ontario’s Endangered Species Act. To protect the Blanding’s Turtle from road construction, contractors typically install temporary silt fencing to prevent turtles from accessing and nesting within the shoulder of the road before the start of the nesting period (June and July) or delay construction until the eggs have hatched (late summer-fall). 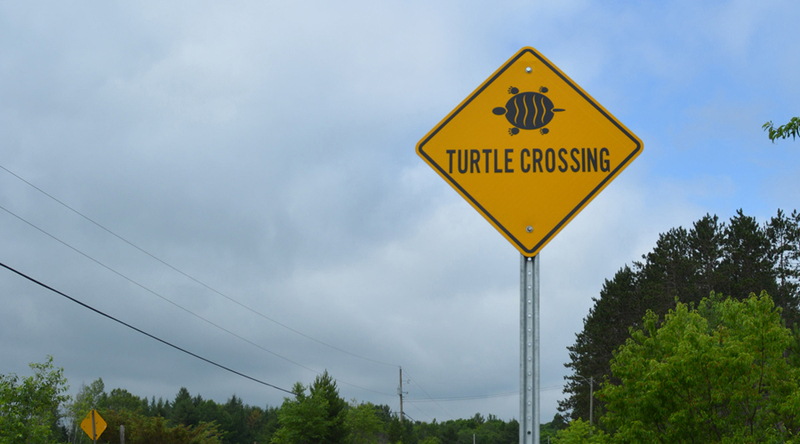 McIntosh Perry was retained by the Ontario Ministry of Transportation to design, coordinate and carry out a pilot project to devise a new method to locate Blanding’s Turtle eggs and nests within a highway right-of-way. This innovative method was proposed as an environmentally-friendly way to enable highway construction projects to be completed in a timely and cost-effective manner. McIntosh Perry collaborated with Working Dogs for Conservation, a group that trains conservation detection dogs to protect wildlife and wild spaces. The project had a tight timeline to teach the dogs to locate Blanding’s Turtle eggs and nests. The pilot project demonstrated that conservation dogs could detect the eggs and nests of Blanding’s Turtle. With additional training, the dogs will save time and provide a cost effective and sustainable approach in support of road improvement projects. 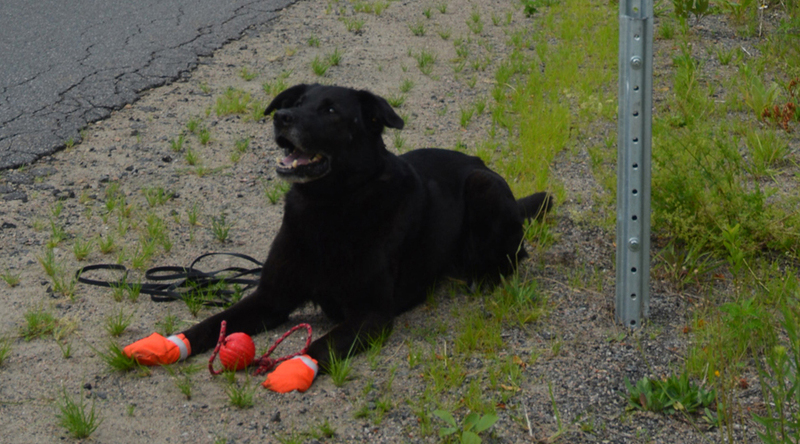 This innovative project was the first time that “sniffer dogs” were used to detect turtle eggs along an Ontario roadway. The Consulting Engineers of Ontario (CEO) celebrated the accomplishments of this project by bestowing a Creative Solutions Award to McIntosh Perry. The CEO recognized this outstanding engineering project, delivered by McIntosh Perry, and celebrated the important contribution it makes to improving the environmental quality of life across Ontario. The independent panel of judges reviewing the nominated projects were so impressed with the character of this project that they created a new award category: the Creative Solutions Award. It is the first time this award has been given to a consulting engineering firm in Ontario. It is truly an honour to receive this distinguished recognition from the CEO. McIntosh Perry’s conservation efforts for Blanding’s Turtles during this project and the CEO Award were recognized on CP24’s Breakfast Television.